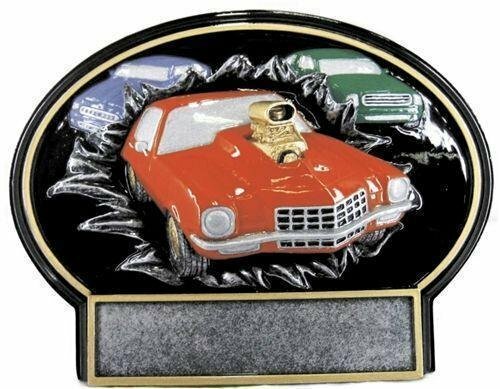 This selection of resin car show awards are a great choice for any auto show or exhibition. 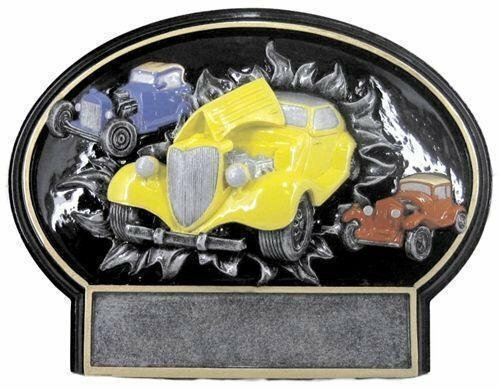 The Burst Thru Antique Car Trophy is a popular choice. 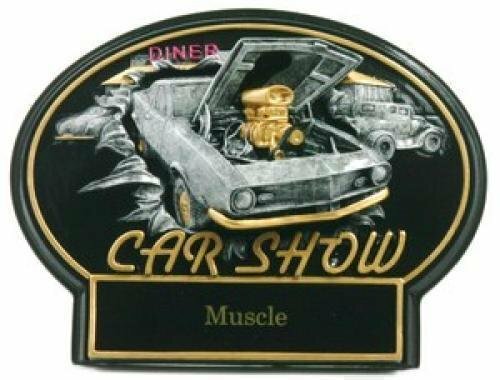 This Car Show Trophy can stand alone or be hung on the wall. The resin trophy includes a brushed silver plastic plate with up to 3 lines of black laser engraved letters. This is a great choice for an economy car show trophy. 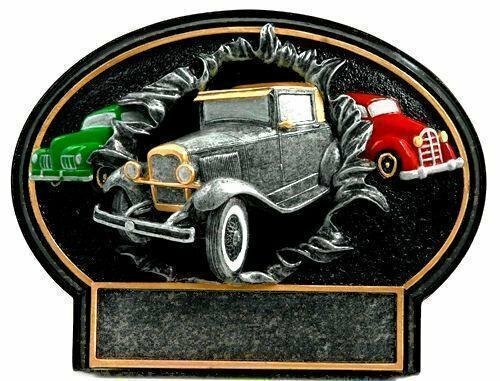 Choose a cheap car show trophy for your team or tournament trophy event. 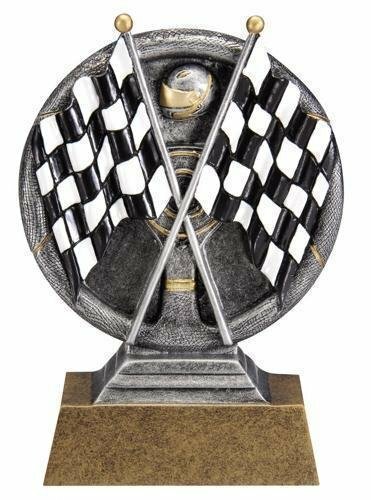 FREE Shipping is available on orders cheap car show trophies over $100. FREE Engraving. 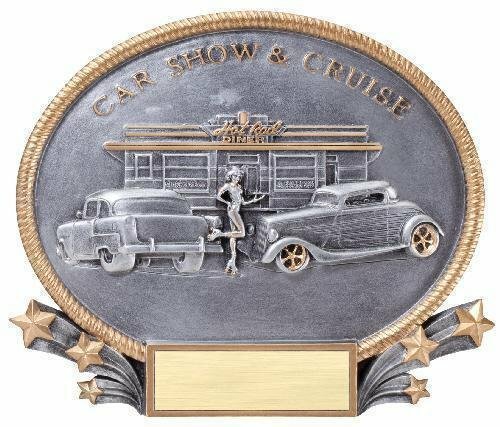 The Burst Thru Car Show Trophy includes a brushed silver plastic plate with up to 3 lines of black laser engraved letters. 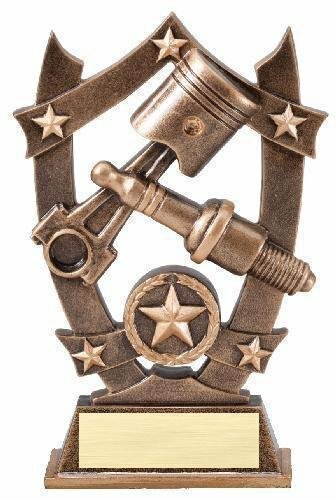 This car show award can stand alone or be hung on the wall. The Burst Thru Hot Rod Trophy is a popular choice. This Car Show Trophy can stand alone or be hung on the wall. The resin trophy includes a brushed silver plastic plate with up to 3 lines of black laser engraved letters. 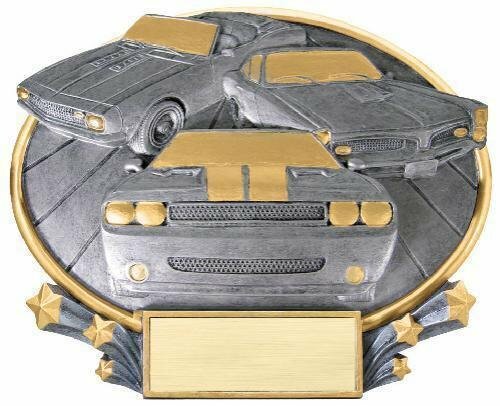 The Burst Thru Muscle Car Trophy is a popular choice. This Car Show Trophy can stand alone or be hung on the wall. The resin trophy includes a brushed silver plastic plate with up to 3 lines of black laser engraved letters. This is a great choice for an economy trophy. Choose a cheap trophy for your team or tournament trophy event. FREE Shipping is available on orders cheap trophies over $100. FREE Engraving. 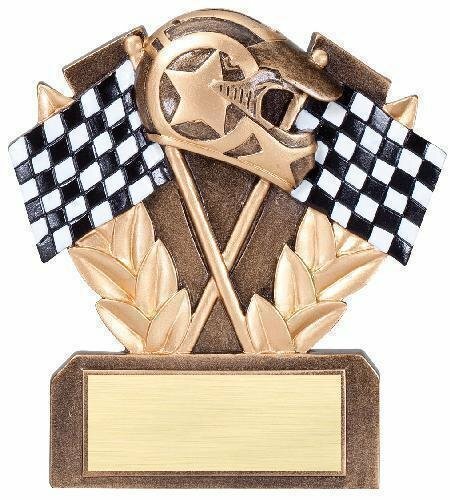 The 3D Motion resin racing trophy has a brushed gold laser engraved plate with black letters. 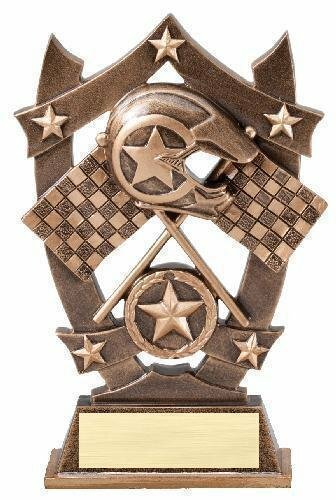 This racing award is an inexpensive trophy with great character.